currently there are 2 new obsessions. 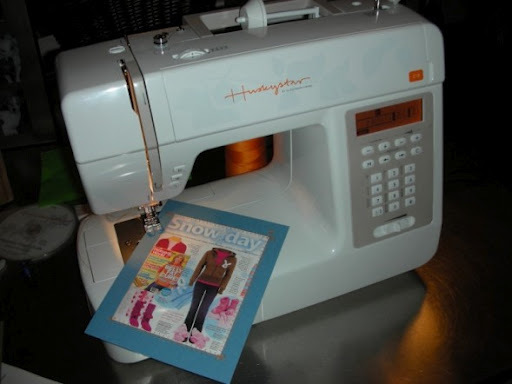 As a lover of hand stitching, I haven't used my sewing machine (Huskystar C10) all that much. I purchased it from the Sewing Arts Center back in 2007 mainly for stitching on paper. Our industrial machine (Juki) was and is still far too intimidating for me to operate. But the Huskystar has sat for some time with only a little bit of use here and there. I started sewing together a press kit (right when I got the machine), and managed to only finish a couple for our sales reps. Drinking: Water. Lots of it. Wondering: What my next obsession will be. So... any ideas, guys? What are your current obsessions?